Ko Tane is set within Willowbank Wildlife Reserve and through them one will learn the relationship between Maori, culture, wildlife and conservation to give a real "Kiwi" experience. This Reserve features traditional dancing, a wildlife tour and buffet dinner. Another option is to incorporate a paddle in a traditional waka (Maori canoe) with Katoro Waka Heritage Tours, also based at Willowbank. This place give a unique glimpse into the way of life of the South Island Ngai Tahu Maori people before the arrival of the Europeans. The guests can experience the thrill of the wero, the traditional challenge to visitors, as the guests are brought into the sacred precinct of Tane, Maori God of the Forests. One can also hear the haunting traditional call, the Karanga, performed by a wahine (woman) as the powhiri (ritual of arrival) begins, allowing them to enter their hidden enclave. 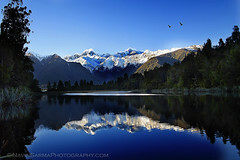 Address: 60 Hussey Road, Northwood, Christchurch 8051, New Zealand.